Months after the introduction of the phrase life plan community as an alternative to the traditional continuing care retirement community (CCRC) terminology, it seems there’s still sharp industry disagreement over which is the term of choice. 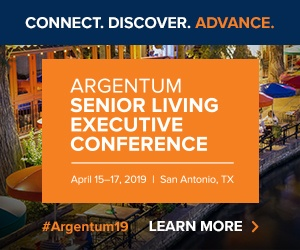 The name change followed a two-year process spearheaded by LeadingAge and Mather LifeWays, in partnership with GlynnDevins, Brooks Adams Research, Love & Company, Varsity Branding and SB&A Integrated Marketing. It had been deemed necessary because some believe the phrase “continuing care” implies a setting where older adults are being cared for, rather than one that also fosters new experiences and vitality. But those against the alternative believe it has certain implications of its own. By that, he means that by the time residents enter The Danish Home—a not-for-profit, rental and entry-fee CCRC founded in 1891 that consists of 21 independent living apartments, 11 so-called catered living units and 17 skilled nursing beds—they’re not necessarily wanting to sit down and plan out the rest of their lives. Yes, they have control over themselves and their futures, he says, but they’re not necessarily looking to map out what’s ahead. Another issue is that it’s tough to walk away from CCRC after it’s been in place for decades, Swanson says. This is the case not only when it comes to marketing and branding, but also when it comes to resident contracts and state regulations. Meanwhile, Chicago-based specialty investment bank Ziegler recently used the new phrase when it released data on the top states for life plan communities. The firm wanted to be supportive of relabeling the broader category of senior housing, and will handle its use on a case-by-case basis moving forward, depending largely on whether it’s client-oriented, says Dan Hermann, head of investment banking for Ziegler. When life plan communities are referenced by Ziegler, though, there will also be a descriptor to denote the relation to CCRCs, Hermann says, as it takes many years for terminology to fully take hold. Hermann doesn’t envision individual facilities being as direct in calling themselves life plan communities as they might have been about dubbing themselves CCRCs, though larger organizations with multiple sites might be more apt to do so. Life plan community is more of an umbrella term, allowing senior living providers to label themselves however they want under it, as opposed to being boxed into CCRC standards, he says. ‘Community’ is now preferred to ‘home,’ Hermann says. Of course, The Danish Home still incorporates the term. Some have even debated whether it’s time to ditch the term senior, though the prospect of that appears a long way off.